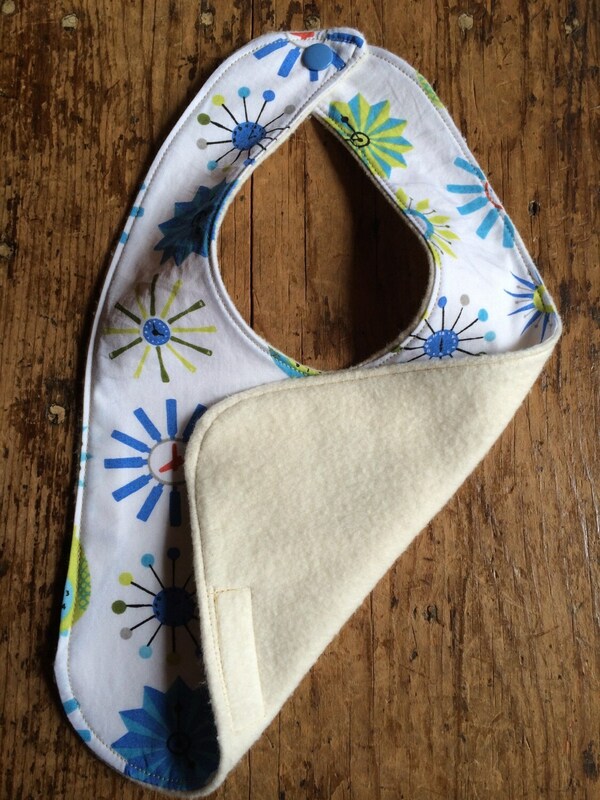 Super fun and functional bib for your little one. Front is 100% cotton print and the so soft backing is 100% organic cotton fleece. The cotton for the fleece was grown in Texas and the fleece was made in NC! 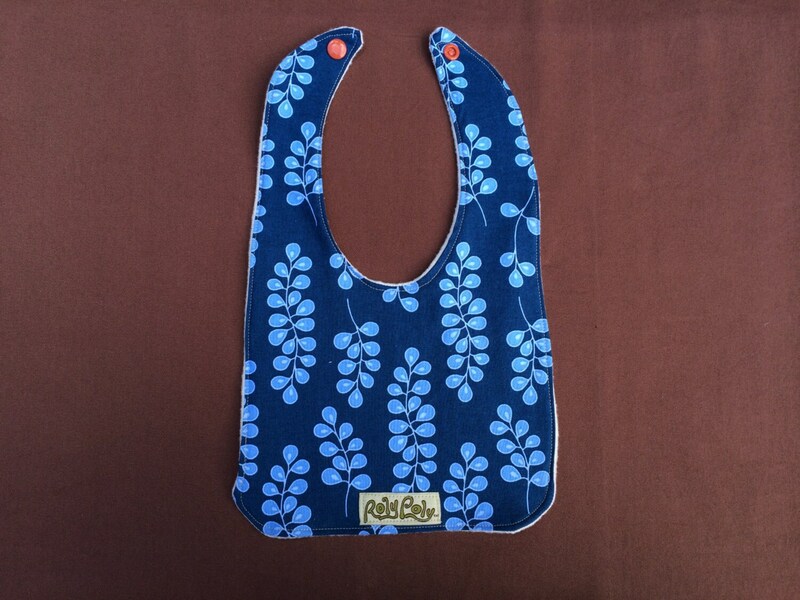 A smaller sized bib that gives good coverage for babies without swallowing them. A snap closure keeps it securly in place. 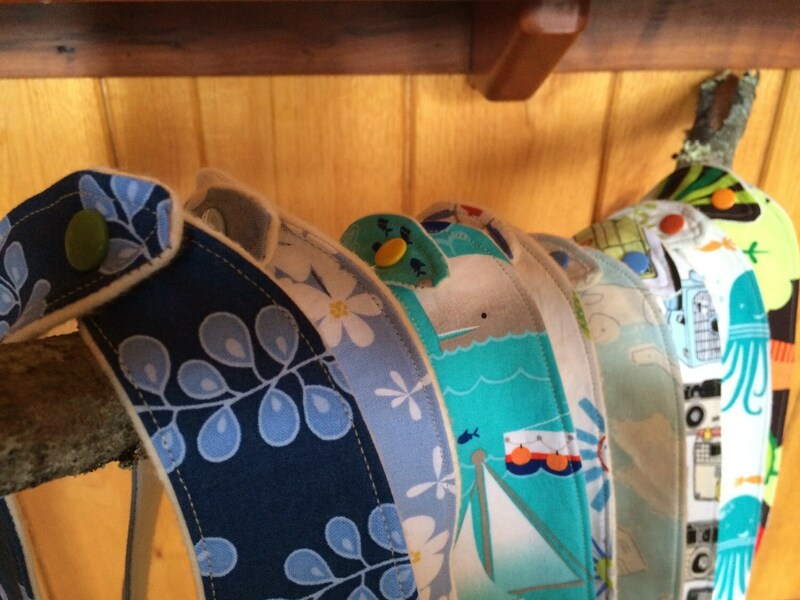 Let me know your fabric choice in a message when you buy. I also welcome special requests. I will refund shipping overages of 1.00 or more. Still trying to figure out the usps increased rates. 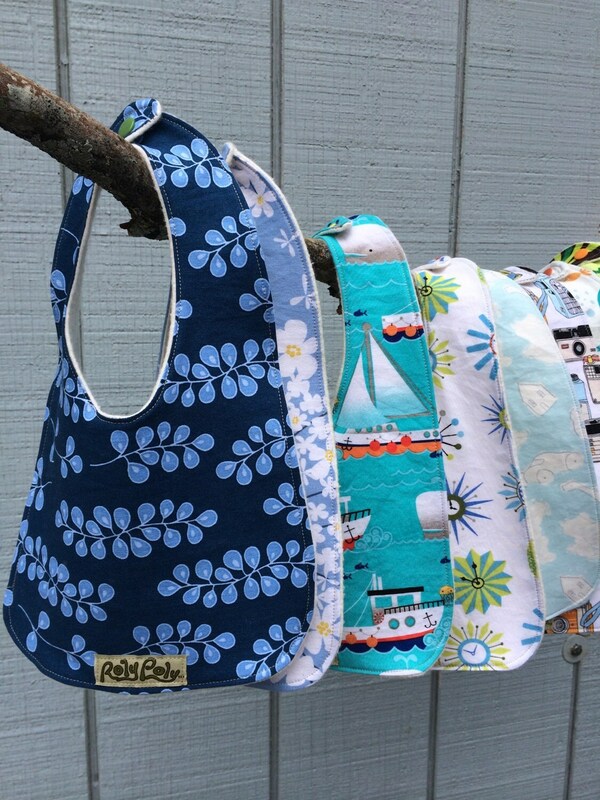 Bibs are approximately 8" wide at the bottom widest part, 12.5" tall, with a 6" diameter neck opening. Pattern placement may vary slightly from photo but will always be carefully considered. Never leave a bib on a sleeping child.